Sadesa is committed to be the world leader in the tanning and distribution of leather, bringing to its customers: innovation, quality, service and value on a sustainable basis. Recognized as a reliable organization, with opportunity for individual development and socially responsible practices. Sadesa will remain consistently committed, dependable and flexible, striving to exceed customers’ expectations. Being at the forefront of the industry implies a set of values that define us as a company. We set the course on which our industry moves forward. We are ahead of the trends with products and services which open new horizons to our customers. The relationships we establish are for the long term, based on mutual trust, respect and a strong responsibility towards environment, community, personnel, customers and suppliers. We are constantly establishing new goals and challenges. For the purposes of self-improvement and in the clear aim to be the most attractive and reliable alternative in the leather industry. Walter Lebach, a German-American immigrant, founded SADESA in 1941 in Buenos Aires, Argentina. The Company began as a rawhide exporter, concentrating its trading operations in Europe. In the early 1960’s, the first step towards an industrial process takes place; Sadesa starts producing wet blue hides for export. In 1970, the Company moved into the industrial field through the creation of a parternship and later acquisition of Federico Meiners, a tannery in Santa Fe, Argentina. This enabled Sadesa to start suplying the crust and finished leather markets, mainly to the performance and lifestyle footwear industies. Sadesa continued its industrial expansion throughout the 1970’s developing alliances with the tanneries of Paycueros in Uruguay and Vernon in Paraguay. The technology used and the variety of products manufactured by the three plants, positioned Sadesa as a prime supplier of crust and finished leather to the world. During the 1980’s, Sadesa expanded its operations in Argentina by opening its plant in San Luis, acquiring two industrial facilities: Lomas de Zamora and San Felipe, its vegetable leather tannery, including a cut sole facility, in Santa Fe. During the 1990’s, Sadesa consolidated the operations of Federico Meiners, San Felipe, Paycueros and Vernon. As the first step towards the industrial expansion in Asia, Sadesa inaugurated in May 1999 its first plant outside South America. The facility is located in Ayutthaya, Thailand; a joint venture with Bangkok Rubber Group (BRG) owned 85% by Sadesa. In January 2001, Sadesa increased its output in Thailand by utilizing the finishing capacity of Pan Asia Leather Co. Ltd., a tannery also part of BRG, located in Kabinbury. The finished leather produced at this plant is primarily focused to the performance footwear industry in Thailand, Vietam and Indonesia. To complement Thailand’s industrial operations, a warehouse was subsequently set up in the port area of this country (EPZ), where wet blue, crust and finished leathers are stored and distributed in order to have the pertinent resources in the proximity of tannery or customers and, as a consequence, guarantee on time delivery. Sadesa is one of the largest leather manufacturers in the world, producing 15 million square feet of quality crust and finished leather per month in its seven industrial facilities and employing 4100 people.  Sadesa operates a global sales network of offices and commercial alliances in 18 countries in the five continents. This global structure enables the Company to provide service wherever customers need it. Sadesa has also developed a global sourcing network in the major hide markets supplying raw materials that best match customers’ needs.